Listen: Lady Gaga feat. Florence Welch - 'Hey Girl'. 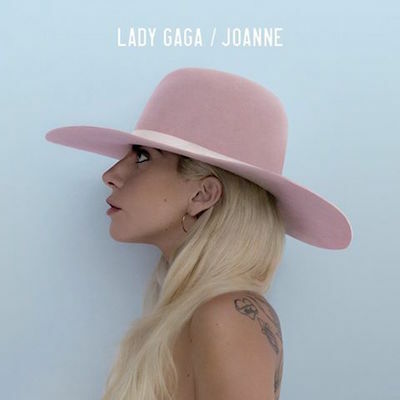 Today’s the day, Lady Gaga’s new album 'Joanne' is out, featuring assists from a star-studded line-up including the likes of Florence Welch, Kevin Parker, Josh Homme, Beck, Father John Misty, Este Haim, Elton John, Bloodpop, and Mark Ronson on co-Executive Producer duties with Gaga herself. Earlier this year during an interview with BBC Radio 1, Gaga said about her collaboration with Florence: "I started to work on an idea for a song that I really wanted to do with a girl. You'll see why when you see what the song is about. I just thought, 'Who do I want to sing with?' [Florence]'s really to me if not the best, one of the greatest vocalists in the world. She's incredible." P.S. 'Million Reasons' is really, really good. I highly recommend. MusicMark Ronson feat. Bruno Mars - listen to new song 'Uptown Funk'. MusicListen: Florence + The Machine's new songs 'Moderation' and 'Haunted House'. MusicFlorence + The Machine performing 'Ship To Wreck' live at BBC Radio 1’s Big Weekend 2015. MusicBehind-the-scenes of Florence + The Machine's 'What Kind Of Man' music video. MusicWatch: Florence + The Machine perform 'Hunger' live on The Voice. MusicGreta Gerwig directs Florence Welch in 'The Domestic Kingdom'. MusicFlorence + The Machine to play theatre shows in Australia this July! MusicFlorence + The Machine & Dev Hynes release 'Never Let Me Go' duet.